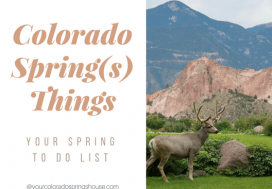 The first thing to do when you are moving to Colorado Springs is to familiarize yourself with the different areas of town, the local styles, and home features.  We are local real estate professionals who want to give you a head start with this. Each city has its own new attributes that you usually learn over time as you live in a new town. Some features are pretty obvious, while other aspects are more difficult to notice. These features will also affect where you might feel most comfortable, and areas of town that might not be your style. Old Colorado Springs was initially established as a supply station for miners traveling to their mining camps west of Denver. Colorado Springs is a planned city. General William Jackson Palmer had a vision, purchased land, and established what was to become Colorado Springs. The Springs served as a great health resort, especially for those suffering from tuberculosis. Life was hard on the Front Range, but easier than in the mining camps. Colorado Springs has steadily grown since then, and now has 500,000 residents. The growth rate has increased in recent years. Our real estate market is one of the strongest in the nation and it is expected to moderately stay this way. 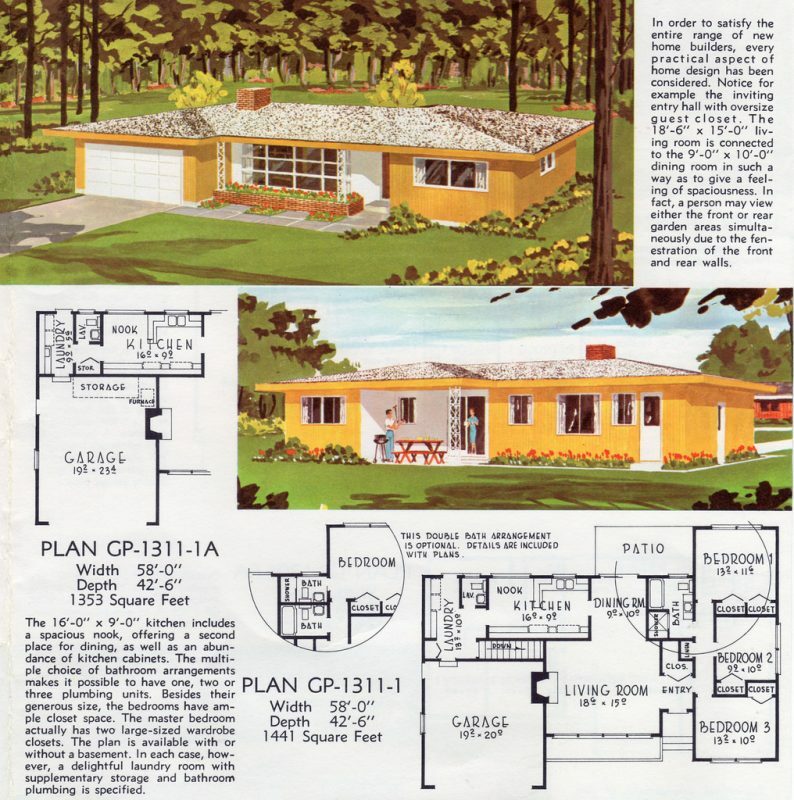 The 1940’s and especially the 1950’s and 60’s brought smaller, cute “cookie cutter” ranch homes. These homes originally all looked basically the same, but the similarities have changed as each owner has made their own mark on these homes and exterior landscaping. Many of these neighborhoods are quite charming. The late 1960’s brought new and varying home layouts and styles to Colorado Springs. 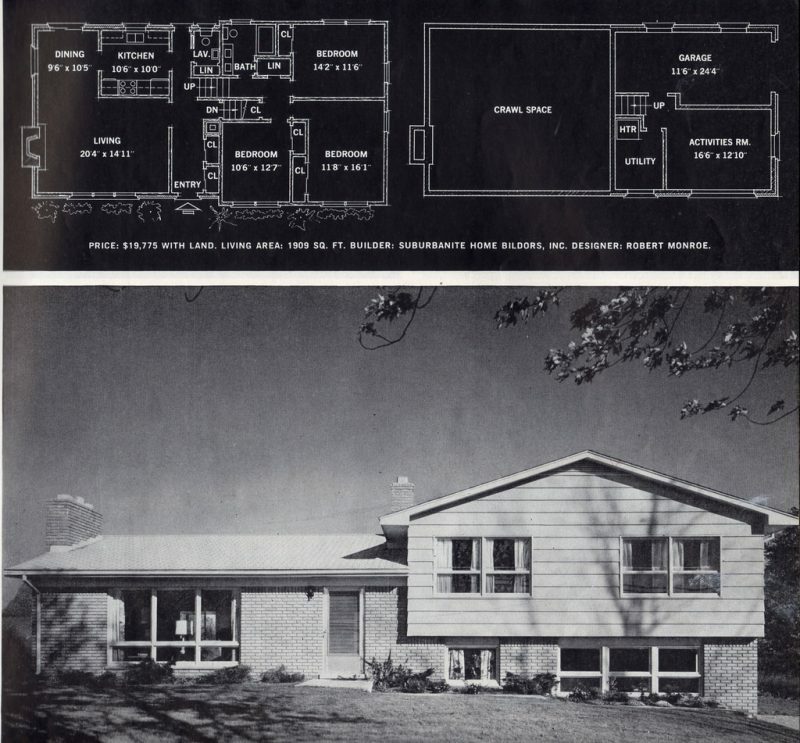 The rise of the larger rancher and various kinds of split-level homes gave homes more separation and features. The popularity of split-level homes peaked from the 1970’s through the 1990’s, often with various updated versions. These split-level homes are the style of house where you come in and you have to make a decision: go up or down a small flight of stairs. Of course, split-level homes got fancier with the years. Colorado Springs has bi-levels, tri-levels and 4 levels. It seems to be a polarizing style of home: some people love it, others hate it. With each year the average home size in Colorado Springs has grown. Larger homes became increasingly popular throughout the 2000’s, especially in new construction subdivisions. It’s important to note that houses grew, but lot sizes did not necessarily grow along with them. Many homes in these subdivisions are closer together with smaller yards. Townhomes and condominiums have become increasingly popular, many times due to their lesser price tag. The latest real estate trend is to call town home duplexes “paired villas.” This term sounds fancier, but it’s basically a side by side duplex. In a few years you will see the number of condos greatly increase. There was a lawsuit about condos and liability to it, which included a 7-year statute of limitations. We are in our second year, so it will be interesting to see what happens in 5 years when that statute is expired. My prediction is that many current apartments will be converted to condos. 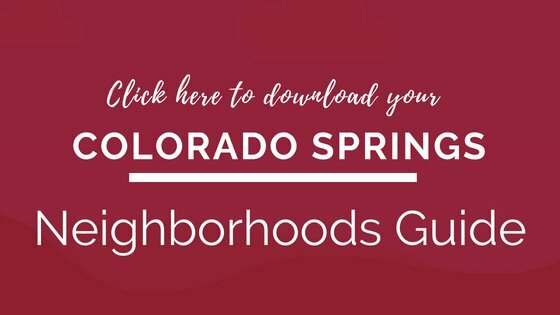 There are a few home features that seem a bit unique to Colorado Springs. The alpine style of architecture that often includes lots of windows is very popular. If you have a patio or a driveway facing north, it will be covered with snow or ice for most of the winter. 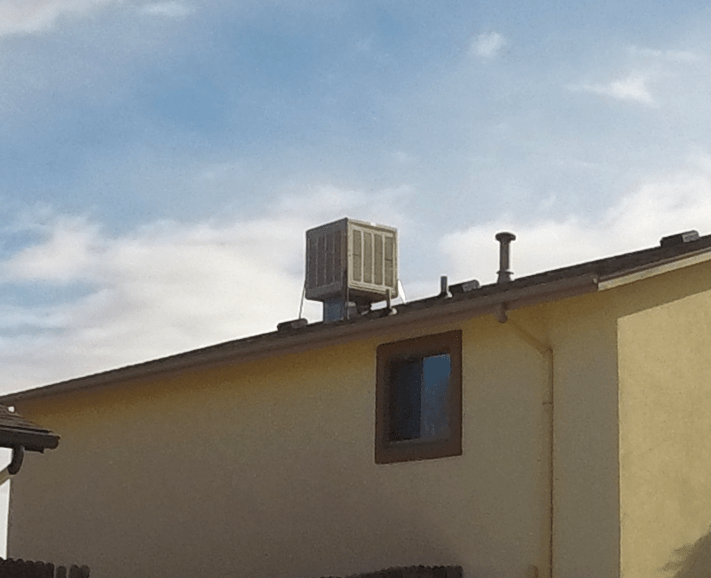 One of the things that surprises people moving to Colorado is this: air conditioning is not a standard feature. You might have a swamp cooler (An evaporative cooler is a device that cools air through the evaporation of water) or a whole house fan, but older homes are more likely to not have an AC. New construction home do not come standard with air conditioning. Water is quite expensive in Colorado Springs, and newcomers are surprised to see a lot of rock gardens and xeriscaping. These landscape features will save the homeowner a lot of money. Another funky feature is to have carpet in the bathroom. Yup. Carpet. During the 1980’s and 1990’s, this inexpensive flooring seemed to be the preferred choice for builders. Several clients have mentioned that the rounded corners and textured walls featured in many Colorado Springs homes were new to them. The lot sizes in the older parts of town like Old Colorado City and Manitou Springs are usually fairly small. Over the years, the lots have been subdivided to accommodate more residences. You’ll notice lots from the 1950’s until the late 1990’s are generally bigger. Lots from the last 10-20 years are range from small to very small (low maintenance community lots) in order to accommodate population growth. It might sound trivial, but it’s so easy to know your cardinal points when you are in Colorado Springs. Thanks to our mountains on the west side of town, you’ll always know at least direction: west. All you have to do is find the mountains and you can figure out where to go from there. Thank goodness our days are usually cloud free so our beautiful mountains are visible. Westside: The Westside is different. You might have a view of the mountain in this area, but if you live ON the mountain, you’ll only see city lights. The closer you get to the mountains, the less you’ll find flat yards. There are lots of large rocks and brush oak trees. Westsiders are very loyal to the westside. If they leave, they usually come back. Beware of wildfires! 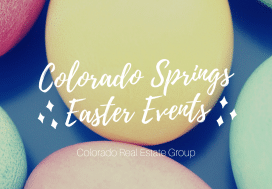 Southwest: The Southwest includes the famous Broadmoor Resort and surrounding neighborhood with custom homes from the mid 1960’s to the late 1990’s. There are also newer, bigger houses around it. However, cross over Hwy 115 and you’ll find great homes at better prices without the Broadmoor price tag. 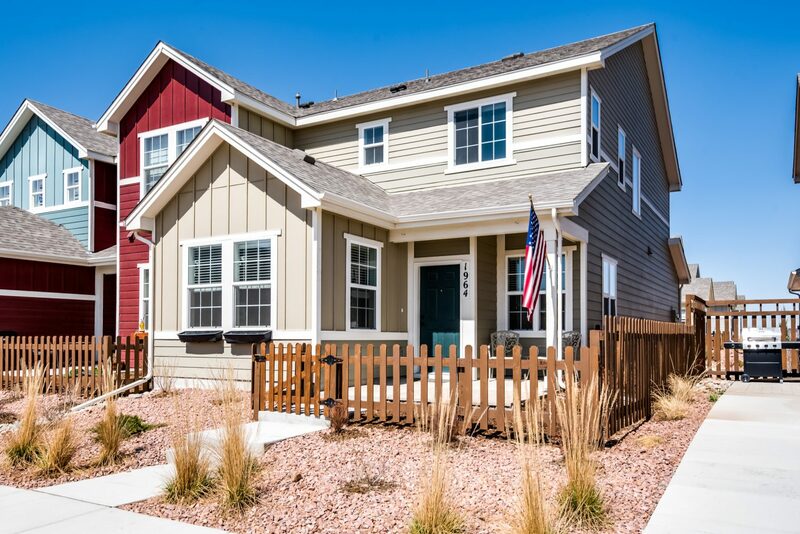 You’ll be close to downtown Colorado Springs and right on top of Fort Carson. Southeast: Pass Hwy 24/Cimarron South and you will get into an area that is considered Southeast Colorado Springs. Just like the northern part of the Powers Corridor, there is a lot of growth in this area with new construction homes. This area borders Academy Blvd. For many it’s still a quick drive to shopping and other areas of town. Areas like Fountain Valley are often where you can get the most value for your money when purchasing a home. Central: The central area of Colorado Springs includes the Old North End (the original, as in 1910, Old North End), located around Colorado College. This part of town has treelined avenues and big centennial villas. The area immediately around it has smaller, but adorable homes that used to house all the service providers for the rich Easterners trying to recuperate from East Coast Tuberculosis. 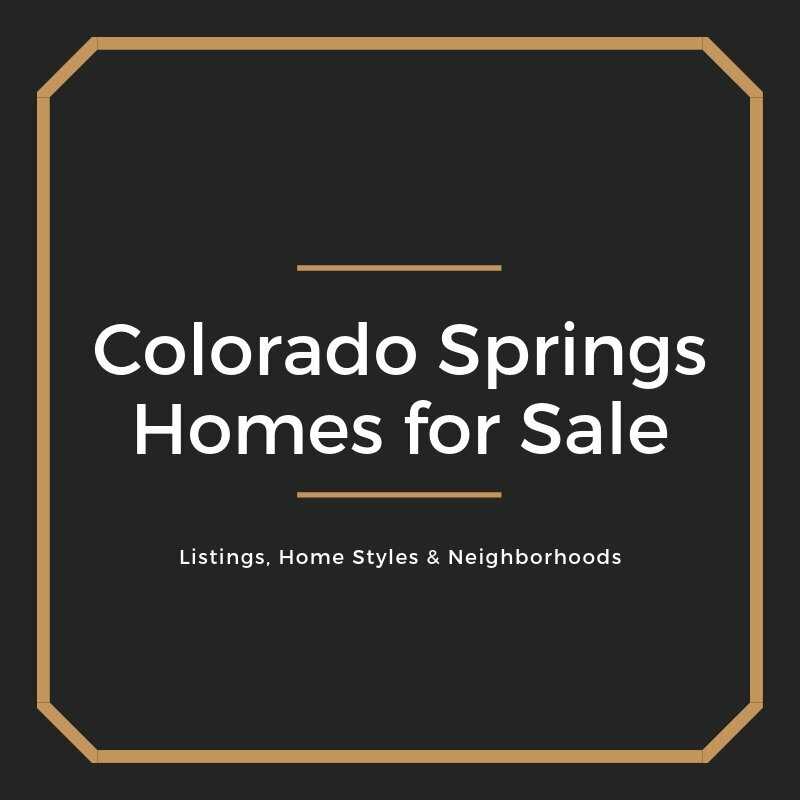 Central Colorado Springs is a very sought after and popular area. As you go farther away from these expensive homes, the residences become smaller and less expensive. Even these older, smaller homes have experienced a revival and gentrification. Northwest: Many Colorado Springs residents believe the Northwest side of town begins north of Hwy 24 West, though some might just call it “The Westside” until this part touches Rockrimmon. 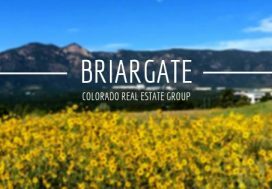 Older, charming neighborhoods such as Pleasant Valley are centrally located close to Old Colorado City and downtown Colorado Springs. Pinion Valley offers great prices for single family homes and it backs up to Ute Valley Park. Mountain Shadows was impacted by Waldo Canyon fire and has been largely rebuilt. Rockrimmon is a child of the 1980’s and offers customized homes with very interesting (and sometimes puzzling) layouts. Designers and remodelers might love this neighborhood. Peregrine is more a 1990’s version of Rockrimmon and Woodmen Valley. This area was former countryside that grew into Colorado Springs due to expansion. North: The North side of town has an abundance of new construction. Flying Horse and Northgate were established 10 years ago, but shops have just recently started to move in. This area of town has a great central location close to the high-end Flying Horse Golf Club Community. You’ll find parks, shopping, and a great school district. Did I mention the views? Whenever you can see Pikes Peak, especially from your back porch or your master bedroom, it’s such a treat! Northeast: I would explain the Northeast side of town (commonly referred to as the Powers Corridor) with one word: Explosion! The growth there has been tremendous. New subdivisions, like Cordera, Wolf Ranch, and Banning Lewis Ranch offer many trendy amenities such as community and rec centers, pools, schools, event centers, gyms and so much more. This has become ideal for many families as well as military members. Northern Part of El Paso County: At the very tippy top of our county on the westside is Palmer Lake. It is a small town nestled close to the mountains, and is becoming increasingly popular due to its serene location and old time charm. Palmer Lake is definitely worth checking out. Monument is similarly a small town like Palmer lake, but with more new expansion. It has a large shopping area and several new subdivisions east and west of I-25. It also has a great school district with high accreditations achieved year over year. As you cross I-25 to the east, you’ll run into Woodmoor and Black Forest. Woodmoor borders a high-end golf club community from the 1980’s and it is still popular with buyers. Woodmoor and Black Forest offer many larger lot parcels (1 acre and more) with large homes on them. As the area is being built out, the lots have shrunk but the privacy of the trees remains. There was a large wildfire a few years ago, but residents love the trees and returned after the evacuation and rebuilding of their homes. Buying a home in Colorado Springs means there is a possibility that you’ll need a radon mitigation system. Radon is a colorless, odorless gas that escapes and gets trapped in the basement. This is more likely if the basement is not well ventilated or the radon level is very high. You can have a radon inspection done before you buy a house. A radon mitigation system will remedy this issue. There are some areas in Colorado Springs where underground mine shafts existed. There have been reports of these shafts collapsing and causing havoc on home structures. Besides the fact that we have an abundance of potholes in Colorado Springs due the freeze/thaw cycle, there are a few other facts to know about roads: While we have several North/South corridors (I-25, Nevada, Academy, Powers, and Marksheffel), Woodmen is the only true East/West artery. There is an elevation change of nearly 1,000 ft between Monument, CO (6,975 ft) and Fort Carson (6,000 ft). This causes very different weather patterns and temperatures. Monument might have 8” of snow, while Fort Carson only gets a dusting. Water is very expensive, people are opting for xeriscaping over too much grass. There is no shortage of fun activities and attractions in Colorado Springs. 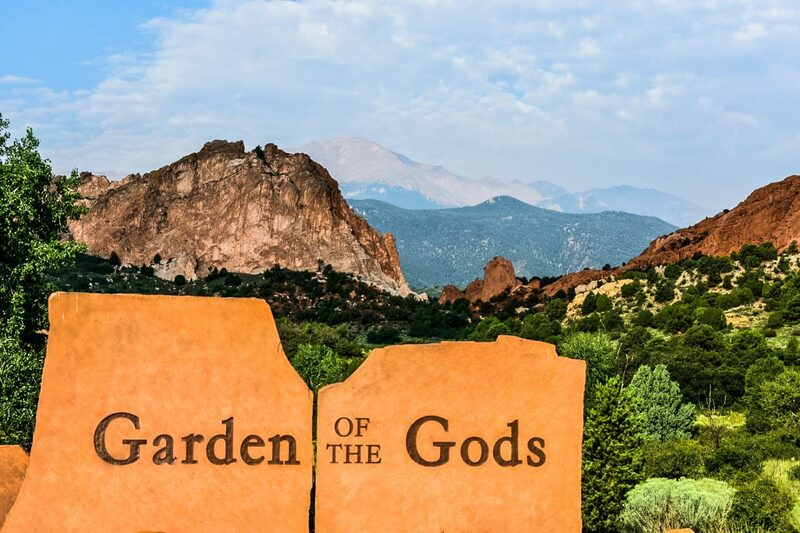 The Garden of the Gods features beautiful red rock formations against the backdrop of the Front Range and Pikes Peak. You can drive through to take in the scenery, or choose one of the many hiking trails through the park. Cheyenne Mountain Zoo is a world class zoo in a beautiful setting nestled against the mountain. We also love the Pioneers Museum, Fine Arts Center, Mining Museum, May Natural History Museum. Keep in mind that we are just a short drive to Denver for all of the big city attractions it has to offer.